Want to know a great return on investment (ROI) formula for your staffing firm? It’s content marketing. Producing and sharing informative content is an effective way to engage your target audience and drive them to your website. When your company becomes the source of qualitative industry related material, you intrigue people to turn to you for real value. Having a solid staffing firm content marketing strategy allows you to differentiate your company, establish your brand and build up trust with potential clients and candidates. Take a look at the following tips on how to create content that generates ROI and helps you win more business. 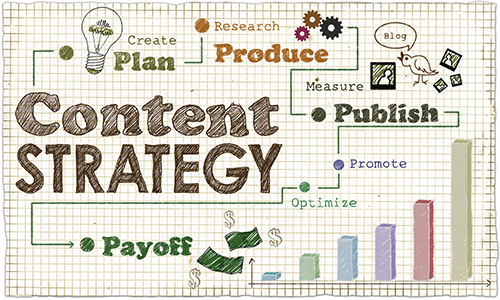 Your staffing firm content marketing strategy is not something you can take lightly. Creating and sharing quality content is a long-term goal that requires a long-term commitment from all the parties involved. Sit down with your sales and recruiting teams and create an editorial calendar that covers topics and points that intrigue potential clients and candidates. Define all the pieces of your content strategy and make sure everyone is on board. Remember that different goals require different approaches, so be specific with what you want to accomplish and how you intend to make it happen. As mentioned before, your staffing firm content marketing strategy needs long-term devotion in order to produce great ROI. If you want to engage your audience and build up trust with them, you need to stay focused on providing the valued material that they relate with. This means sticking to your plan and making sure that you follow it without falling behind. For example, write and share a weekly blog and distribute it through your social media accounts at the same day and time each week and find and share repurposed articles daily and always at the same time. Create a pattern that your audience becomes familiar with. Content marketing is not only about blog writing and creating fresh website content. This is a great starting point, but you shouldn’t limit yourself only to that. Case studies, testimonials and eBooks are a few of the many tools you can use to drive more traffic to your website. Be creative with your staffing firm content marketing strategy and incorporate new methods of getting your message across. Have you thought of creating videos or using infographics? How about integrating podcasts into your daily social media posts and holding webinars to educate your audience on industry related topics? Find ways that capture the attention of your audience. When it comes to your staffing firm content marketing strategy efforts, you need to remember that sometimes things might not go the way you anticipate. That is totally fine and there is no reason to panic. What is really important is taking the necessary action to change things in a timely manner. Did the last blog topic see less interaction than the ones before it? Were last week’s repurposed articles less interactive than what you usually experience? Keep an eye on how your content is performing and be ready to take corrective action whenever you need to. Building a solid staffing firm content marketing strategy requires constant evaluation of your efforts, and the only way to achieve that is by measuring the engagement level of your initiatives. Is your content having the breakthrough you want? What type of content seems to be more interesting to your target audience? What time of day is it better to post repurposed articles? Are the topics you chose to write blogs about the right ones for your candidates and clients? Use your staffing firm metrics to get the right answers and determine whether you meet your content marketing goals or not.